The photograph album acquaints the reader with the unknown side of the wonderful nature of Kamchatka. The authors are professional marine biologists living in Kamchatka for many years. 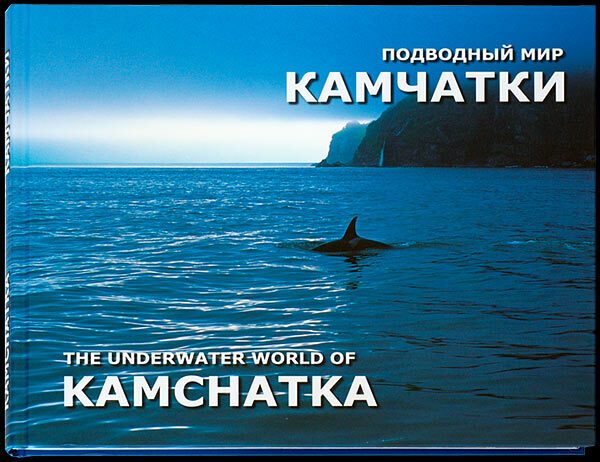 Exploring this land they reveal to the reader the mysterious world of the sea inhabitants living in the rigorous waters of Kamchatka which are framed by picturesque shores. The inimitable and natural beauty of the Kamchatka land attracts tourists from all parts of the world. Having visited it once they are eager to return again to experience the magnetic power of this unique corner of the earth. Its nature enchants and bewitches. Volcanoes are the emblem of Kamchatka. These majestic creations of nature greet you when you enter this land. On the scenic Kamchatka shores washed by the waters of the great Pacific Ocean you will meet numerous sea birds inhabiting the rocks. You can take a close-up look at seals and sea beavers resting on the reefs and beaches, see frisking dolphins, and on the skyline the fountains of the mighty whales. But the most mysterious and inaccessible parts of nature in this marvelous land are the beauties of the sea depths.